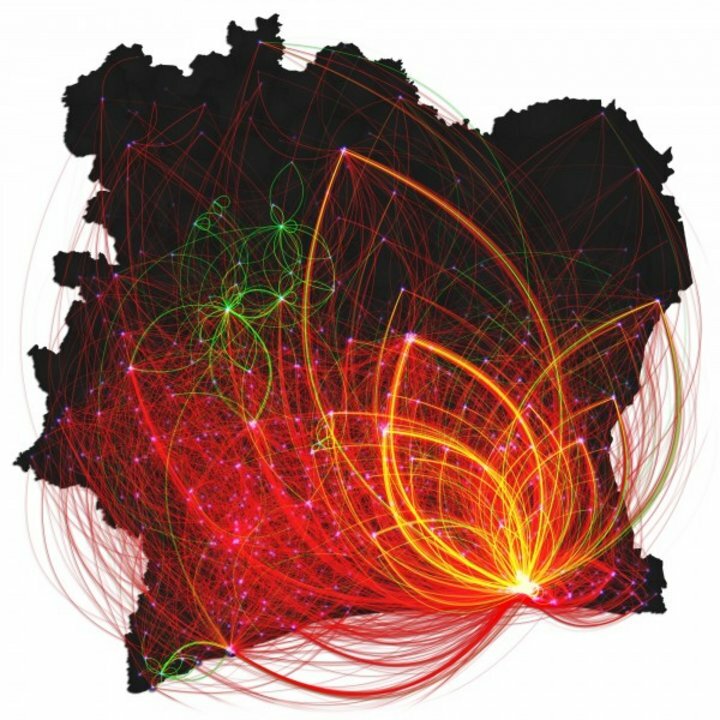 Visualization research develops new methods to present large data collections in new insightful ways. The human eye, human interaction and design are key to this research. Leveraging human insight into data patterns. Data Visualization, chaired by Jack van Wijk, exploits the unique capabilities of the human visual system to detect patterns and trends in imagery. The mission of Visualization (VIS) is to develop methods, techniques and tools that enable people to obtain insights into data via interactive computer graphics. This allows users to discover patterns and outliers in data that would be very difficult to find without the aid of the human mind. Systems can be analyzed and optimized significantly faster than using traditional analysis methods. The central research question is how data should be presented and interacted with so that this process is most efficient and effective. Our approach in this area is characterized by the application of know-how from computer graphics and human computer interaction and by an experimental approach involving fast prototyping, close cooperation with end users, and validation in practice. Scalability of methods is a key. We study how large amounts of abstract data, such as trees and networks, can be visualized. Typical use cases are the visualization of the contents of a computer hard disk and the visualization of the structure of a large software system. Huge data sets can only be dealt with via tight integration of visualization and methods from machine learning, data mining, and statistics. We study how to take advantage of the strengths of humans and computers, and how to steer and obtain insight into automated methods. Most projects are carried out in collaboration with companies and other research groups within Mathematics & Computer Science. Application areas include digital pathology, epidemiology, and other healthcare topics, bioinformatics, computer network traffic analysis, multimedia analytics, insurance, and network analysis. Click here to see all current and finished master projects in the Visualization group.